Bats live between the ceiling and the roof of our house, you can hear them scurry during the day and fly at night. The refrigerator only operates four hours a day (when the generator is on) and the national fuel shortage means there’s no replacement once our propane tank for the stove runs out. This week alone we’ve lost power every night, ran out of water twice, and internet connectivity is… Sketchy at best. 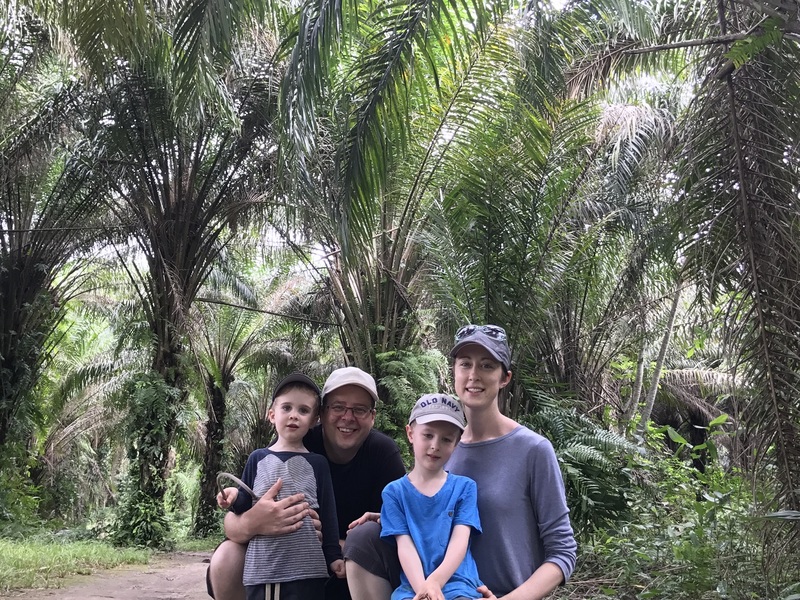 Our family of four arrived in Africa at the beginning of May, after a wonderful week in Montreal connecting with supporters and friends. Since arriving in Impfondo, Congo we’ve come to appreciate rising early with the sun to get productive before the scorching heat of the day saps all energy and going to bed early (because that heat did indeed take our energy!). 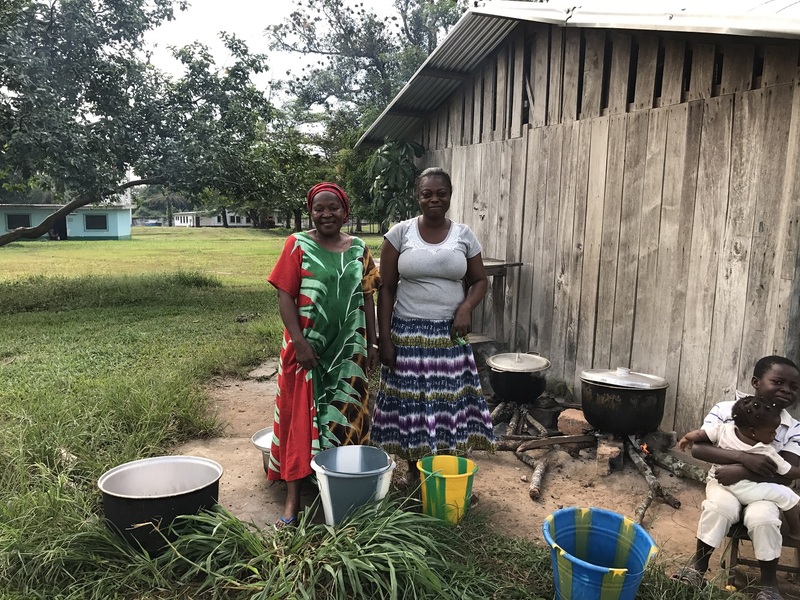 Our main purpose here is to help establish a feeding program for Pioneer Christian Hospital, a missionary hospital that serves refugees, indigenous groups, and the local population mainly afflicted with HIV, malaria, tuberculosis, and neglected diseases like leprosy. I traveled here a year ago to help support the hospital in combating rampant malnutrition in the area. As part of that trip, it became quite apparent that the hospital itself needed a program to help nourish its patients. A funding campaign was launched in late 2016 and funds were raised to provide such a program and now we are back here in Congo to implement it. Our time here was off to a rocky start as multiple family members were sick for the first few weeks. Never again will I complain of having gastrointestinal illness run through the family when I actually have access to a washer and dryer! Hand washing and line-drying during the rainy season has its challenges, I tell you. But alas, now most days we are fairly healthy and we’ve gotten down to work! After recruiting, training, and panning out some logistics, the feeding program has started -- Praise the Lord! 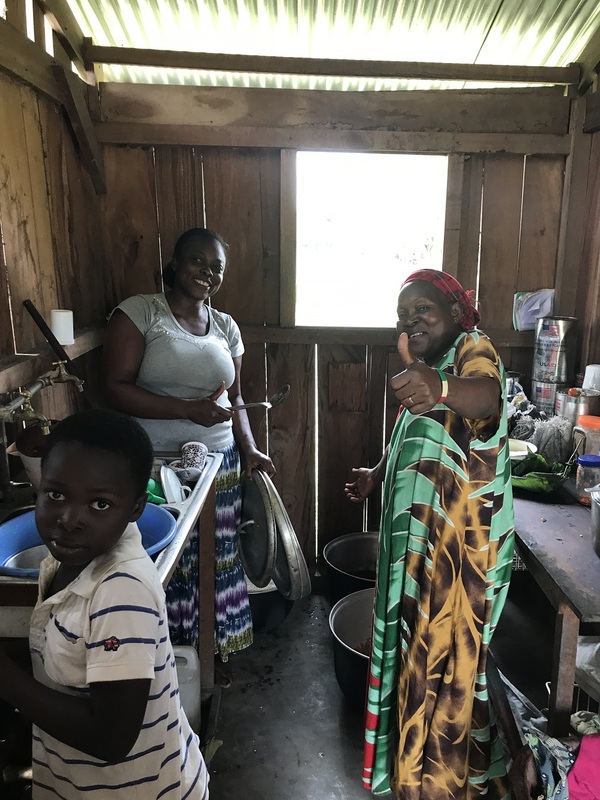 We’ve hired two local ladies to prepare the food and although they were considerably nervous and a tad overwhelmed during our initial meetings, they’ve now completed their first three days and things have gone swimmingly. Today after work I took them to the market to purchase fabric. As a gift for encouragement we are having special aprons made for them as official uniforms. Both Feli and Marie cheered at the news. I thank God that the Nutrition HELP team’s dynamics has shifted from one of nervousness and distrust, to one of friendship and support. In addition to the feeding program, my time has been spent working on a partnership to set up an organic garden here on the hospital grounds. Poverty, malnutrition, and disease (which are all interrelated) are rampant here in Impfondo. The goal of the garden is to not only produce food that will be used to feed patients, but also provide an example to the community of sustainable agriculture to increase food security and, when successful, increase socioeconomic status by selling excess at market. Tom’s work, in contrast, has been more varied in nature. His engineering skills and willingness to help has led him to working with the electrical system, solar panels, and communication system (VHF radios) at the hospital; he’s helped out with auto mechanics, at the radio station, providing live translation of church services, and assisting staff members with their computers. His to-do list varies from adjusting wheelchairs to installing car parts. The kids have adjusted fairly well. Unfortunately three-year-old Matthew has probably been sick at least half the time we’ve been here so far, but we are thankful our colleagues are nurses and doctors so we have many eyes on him. We’ve continued homeschooling during our time in Congo, but are trying to emphasize lessons in social studies, life skills, and applying biblical principles – things we are all learning, to be sure. Thank you for your prayer and financial support. It is what sustains us! Without you, we simply couldn’t be here. May God bless you for that.